When starting a retail business, you really do have to spend money to make money. The key is optimizing your spending to ensure that you’re getting the most bang for your buck. Phil Potter, owner of The Heritage Kitchen Garden in Sydney, advises retailers to “always add more to your estimates than you think you should.” The cafe owner cautioned that there might be a lot of red tape, processes, and people to deal with, and proprietors should factor all that, as well as any potential mishaps that could happen, when setting their budget. Most experts agree that it’s best to add 10 to 20 percent to your quoted prices or estimates, so you can have a budget “buffer” in case anything doesn’t go according to plan. Filling out the fields above should’ve given you an idea of how much you’ll need to get your business up and running. The next step is finding ways to finance your venture. Tap into your personal savings and assets, (like your 401(k), retirement accounts, inheritance, etc.) and use them to finance your venture. If you have enough funds, this method will enable you to start your business without getting into too much debt or giving away chunks of your company. Consider asking your loved ones for the funds to start your business. Depending on your agreement, your friends and relatives can either loan you the amount or take on the role of investor in exchange for some stake in your company. Another option is to turn to a bank or credit union for a business loan. The terms and requirements will vary depending on the financial institution, but generally speaking, a bank or credit union will require that applicants provide their credit history, financial statements, a business plan, projections, and personal guarantees. Known as one of the most popular options to finance a business, plastic can be an easy way to access funds for your venture. But don’t forget that swiping those cards comes with certain risks. Most credit card companies tack on large interest rates when you don’t pay your balance in full, and your credit score can take a serious hit if you fall behind even once. That said, if you have a plan and you’re confident that you’ll be able to stay on top of your payments, then go ahead and swipe…with care, of course. You can also approach angel investors to fund your venture in exchange for a percentage of your company. You will be required to pitch your idea, provide a business plan, projections, competitive analysis, and more. Some organizations and government institutions (such as the Small Business Administration) provide financial assistance to eligible businesses. On a tight budget? You can lower costs by turning to daily deal sites for small businesses. Websites such as BizSaves and Rapidbuyr offer bargains on equipment and various services that startups may need. In addition, see if you can get your hands on free or used materials. Doing so won’t just lower your costs, but if you’re creative enough, these materials can actually give your store more charm or character. Consider what Phil did. The service counter at The Heritage Kitchen Garden was made from a recycled fence from his parents’ old house. He got it for free, installed it at his location, and it fit in beautifully, adding to the rustic feel of his cafe. “They were perfect,” he added. “I looked everywhere for new lights but none of them had character and none of them told a story.” Those lights on the other hand, not only contributed to the charm of The Heritage Kitchen Garden, they also gave Phil a chance to talk to customers who noticed them. 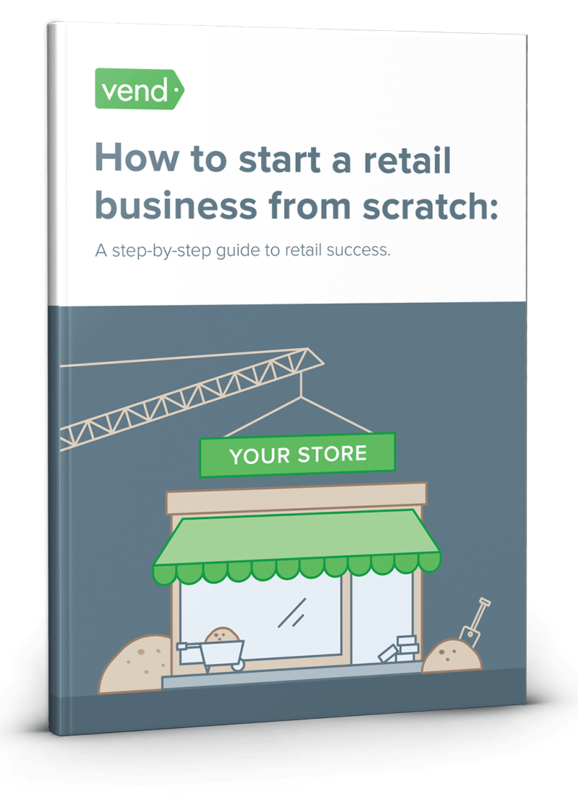 Consider taking a leaf from Phil’s playbook and seek out perfectly reusable materials for your store. You’ll save money, and the items you reuse can end up making your store unique and can even serve as conversation starters with your customers. Materials: Your favorite note-taking device (smartphone, pen & paper, etc. ), phone, computer, calculator, mode of transport. Figure out the finances you need by making a list of your startup expenses. Feel free to use the one we provided above. Prepare the documents required for your funding option. For instance, if you decide to obtain a bank loan, then you’re going to have to prepare your financial statements, credit history, a business, plan, and other things they might ask for. Find ways to lower costs. Look for materials on daily deal sites or contact people in your network.